Hi Fellow Debators! We are Back and We are here to amaze you this year with some generic ideas and some quality time. 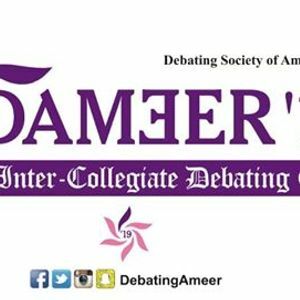 We Gonna Make this Years DAMEER the best Tournament of Circuit with Quality Topics;Debates and Ofcourse Adjudication. We are Ready to Host you!